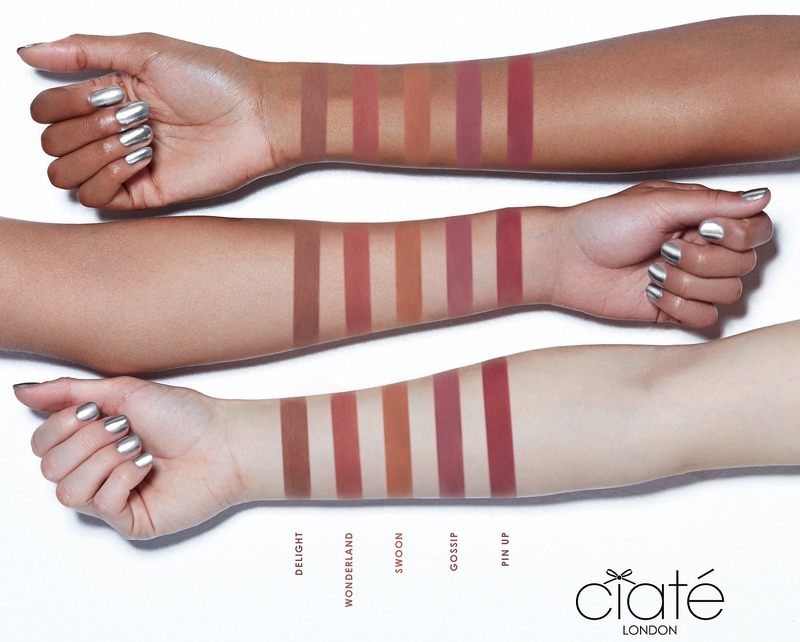 Ciate London has now launched their Holiday collection for the 2017! I will continue to update this post, as well as other holiday collections, throughout the season if new sets become available. "Ciaté’s Liquid Velvet™ Moisturizing Matte Liquid Lipstick combines highly-pigmented, gorgeous matte, long-wearing lip color with hyaluronic acid, which is known for its intense lip-conditioning benefits. Lips appear fuller, while feeling more supple and smooth. The creamy, non-drying lip formula is infused with Ciaté London’s proprietary blend of moisturizing PlushPigment™. It also features high-performance pigments that glide onto lips for bold color and exceptional hold. This set is the perfect gift for any lip color lover. The brand claims the set is a $55 USD / $65 CAD value — in actuality the set only contains $29 USD / $35 CAD worth of product." "Get caught under the mistletoe wearing Liquid Velvet™. This moisturizing matte liquid lipstick combines gorgeous, long-wearing color with hyaluronic acid, which is known for its conditioning benefits. Lips appear fuller, while feeling more supple and smooth. The creamy, non-drying lip formula is infused with Ciaté London’s proprietary blend of moisturizing PlushPigment™, and features high-performance pigments that glide on to lips for bold color and exceptional hold. The brand claims the set is a $22 USD / $26 CAD value — in actuality the set only contains $12 USD / $14 CAD worth of product." (3 x 0.067 oz.) Liquid Velvet Lipsticks in Pin Up, Delight, Oh Honey! 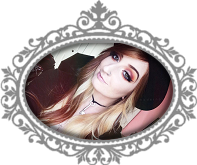 "Give your holiday makeup a sprinkle of Ciaté London magic with this epic 12 piece beauty countdown. Inside you’ll find a collection of the brand's bestselling beauty superheroes, including Liquid Velvet for a super pigmented and long-wearing matte lip, uber-volumizing Wonderwand Mascara, buttery-smooth eyeshadows, fearlessly fierce Wonderwand eyeliner, and much more. 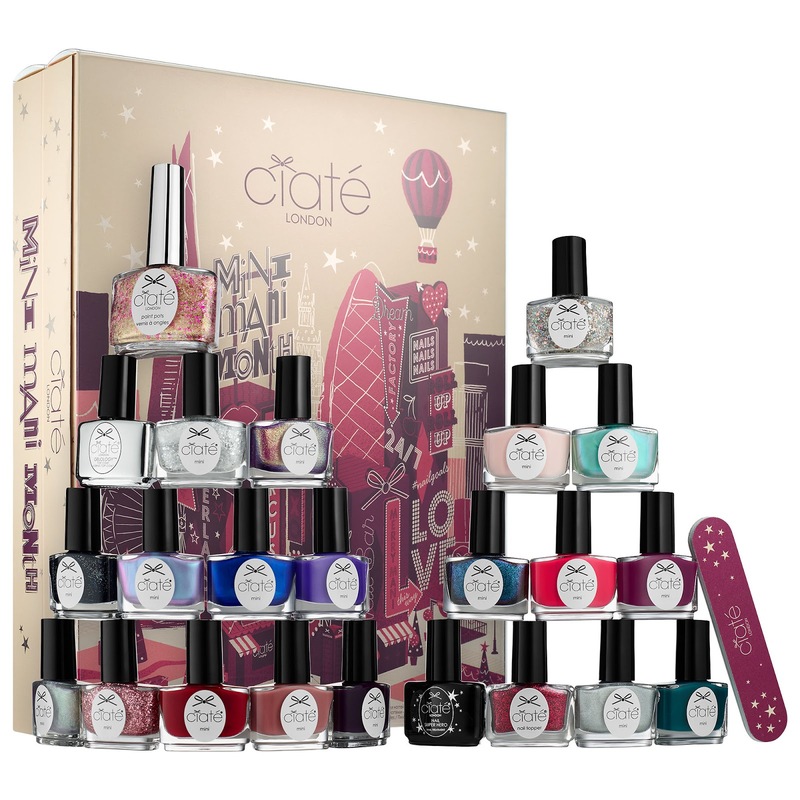 With a mixture of eight minis and four full-size products, this countdown of Ciaté's bestselling products is the ultimate way to treat your favorite beauty junkie (as well as yourself) this holiday season. $140 USD / $168 CAD Value." "Ciaté’s annual Mini Mani Month is back with a super glossy upgrade for 2017. Treat yourself (or another nail polish lover) to the ultimate holiday countdown and a season full of magical holiday manis. This year's set includes 19 minis and one full-size pot of the new and improved, long-wearing, GELOLOGY formulation. Five of these are new and exclusive shades. The set also features a mini treatment base coat and a magical top coat so you can dazzle through the party season. Each product is tucked into its own box for the ultimate unwrapping experience."